On a heavenly October 11, 2005, we were expecting our first-born baby boy with all the joy that new parents experience. His father talking away about how his son would play basketball professionally and I was filled with hope of witnessing all of my baby’s firsts! I spent months readying his room, toys, and getting our lives ready for our new baby boy. While the nurses and staff prepped me for delivery, I clearly recall my heart pounding ridiculously as if it couldn’t contain the happiness and thrill that soon awaited. My life would change forever and my baby boy would fill my life with much more purpose than I’d ever conceived. Soon I was delivering my little trooper, and in my drowsy state my ex-husband brings him toward my face; however, I catch a phrase that would alter my happy state. The doctor says, “There is something wrong with his legs. We need an orthopedic in here immediately.” These were the last words I heard before I passed out; these words that still haunt me today. For the next year, I searched everywhere in Texas for hope. I visited doctors from McAllen, San Antonio, Corpus Christi, and Houston for a possible diagnosis that would give us a glimpse of possibility. Each and every one of the doctors, I visited provided us with the wrong diagnosis and some even went as far as referring to my son’s legs as “frog legs.” All the while, my son received physical therapy with the aim to straighten his legs; however, the therapies were useless and no results were ever visible. All these doctors and therapists threw out vague medical terminologies or incorrect diagnoses. Finally, in 2006, there appeared a glimpse of hope. A doctor diagnosed my son with arthrogryposis and immediately set my son up for surgery to correct his clubbed feet. The day of the first surgery was October 11, 2006 and yes, that was my son’s birthday. The second surgical procedure was a month later on November 10, 2006. Then in 2007, the doctor performed two other surgeries on my son to attempt to fully extend the knee. After these surgeries, we thought we were done with surgeries, but my son would have to wear prosthetic braces for the rest of his life. Raised a Christian, my son had faith that “God could make him walk because God made miracles.” My son’s hope made me decide to leave everything behind and “find a way” to make him walk. We moved to San Antonio on September 2011 with ample faith that God would deliver us to the right doctor. He gave me Dr. Paley’s name. Despite his words, I walked away from that office feeling empowered by a sense of possibility. I immediately overnighted X-rays to the Paley Institute. Dr. Paley himself personally responded to me by email. He said what many others had failed to say. He was positive he could fix my son’s legs and make him walk. That was the HOPE my son knew God would send us. The possibility of a miracle by a miracle worker: Dr. Paley. And that made the room go quiet and we all got teary eyed. Dr. Paley, in his choked up voice, said “Let’s get you to walk first, and then I’ll get you to run.” This would be the beginning of a true journey. 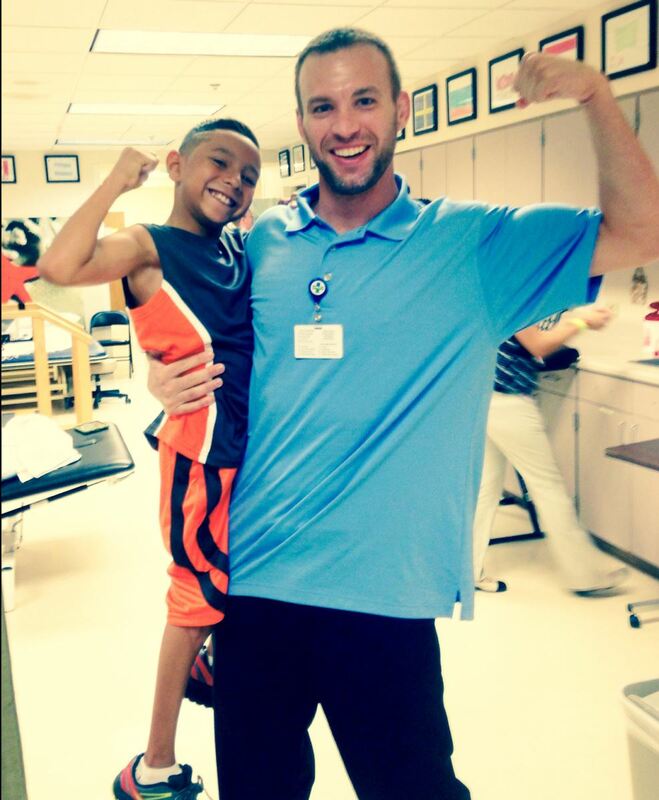 A journey where my son was valued and seen by doctors and medical staff as more than just a bag of bones. He was considered a child of God, a warrior unwilling to give up, and a child of his own making who faces every struggle with a smile. 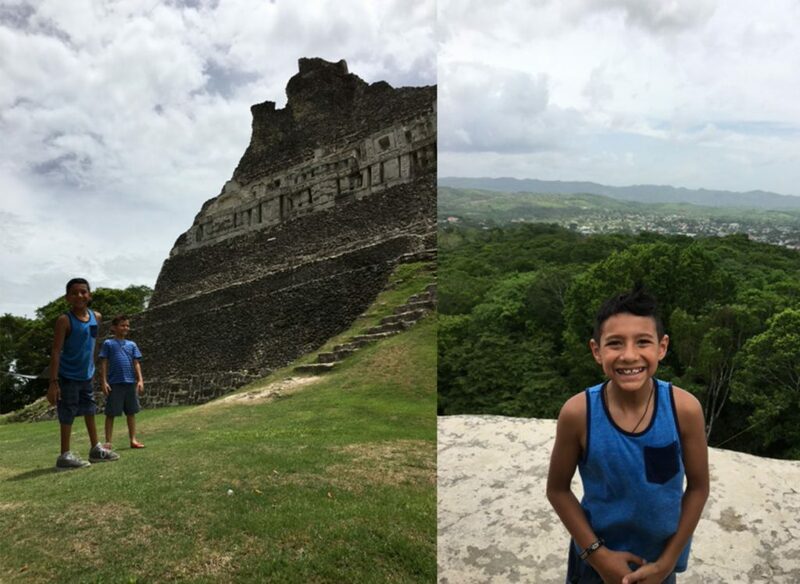 Reyli and his brother climb to the top of the Xunantunich Mayan Ruins, the second tallest building in Belize! Today Reyli is walking and running and Dr. Paley continues his journey in perfecting his walk. Reyli has had a total of 12 surgeries and will continue to stay positive and faithful for all his upcoming surgeries. Our warrior has accomplished so much at such a young age with the help of the extraordinary doctors at the Paley Institute.